The US government remained shut. But pollsters carried on. 81% of Likely Democratic Voters favor a Green New Deal, focused on climate change, income inequality and racial injustice -- 63% of Republicans are opposed, Independents are evenly divided. 59% of voters support raising the marginal tax rate on the richest Americans to 70%. Democrats overwhelming support the tax hike, with 71% in favor. And even 45% of Republicans back the 70% tax. As the pendulum is just now starting its long arc back toward greater equality. “Oh? What’s that? The majority of Americans respect when you break down reasonable policy proposals that are designed to combat runaway income inequality and help fund priorities they value most?” tweeted Alexandria Ocasio-Cortez (AOC) in response to the poll showing the majority of Americans favor a 70% top marginal tax rate. 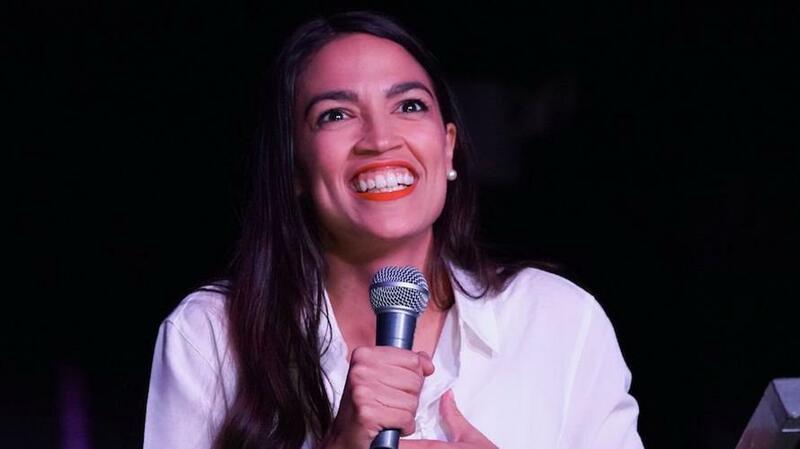 “What we see, overall, is that the vast majority of Americans know that income inequality is one of the biggest issues of our time,” continued the 29yr old freshman Congresswoman, Champion of Millennials. “This is a policy that is already popular and it’s time that we embrace working Americans and it’s time that the Democratic Party fights in a full-throated manner for the working class in the United States and to not support a marginal tax rate is to really just allow runaway wealth and inequality to persist,” said AOC, as she went viral, terrifying opponents, invigorating supporters. The media embraced her, smelling impressions, interactions, clicks, blood, money. You see, as fun as it is to fight amongst ourselves over fences, the real conflict is over America’s vast economic pie, how we divide it, how we spend it. And when viewed that way, the great battle that emerges is not Democrat versus Republican - that’s just a distraction, distortion, diversion - the real battle is between capital and labor, the wealthy versus everyone else. The Washington Post estimated the revenue raised over a decade from a 70% top marginal tax rate on those earning $10mm+ could almost fully fund a tuition-free public college plan, forgive over half of US student debt, or nearly pay for a $1trln infrastructure plan. And a Rasmussen poll found that, if the 2020 presidential race was between Donald J. Trump and Alexandria Ocasio-Cortez – unknown until a few months ago - 43% of Likely US Voters would vote for DJT, while 40% would vote for AOC.